The church’s record of holding power – from Emperor Constantine in the 4th century onwards – has involved some terrible acts of coercion, exploitation, and abuse. Yet Jesus set an example of selfless service and started a “humility revolution” that fundamentally transformed the West and the way we think about leadership and power. For groups like women and indigenous peoples, what has it looked like when Christians have exercised power for selfish benefit? What has it looked like when they’ve exercised it for the good of others? This segment looks at how, at different times and in different ways, Christianity has had both positive and negative impacts on women. JOHN DICKSON: Much has been said about the women in Jesus’ life. 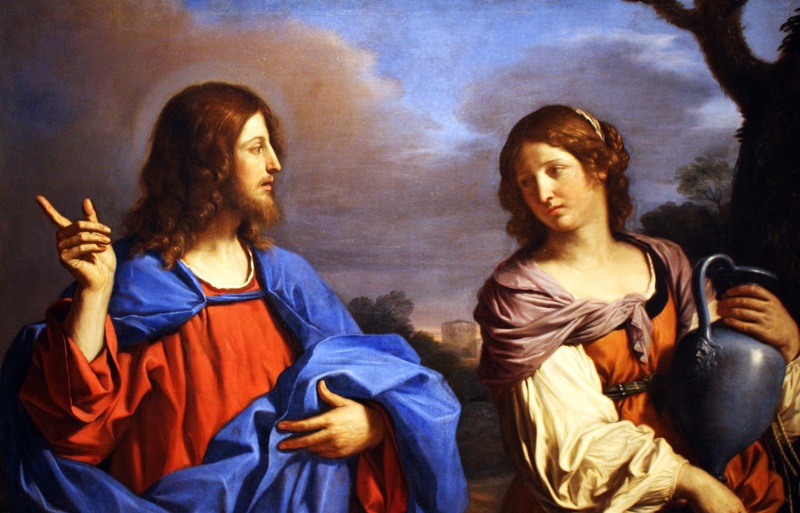 Some even speculate he married Mary Magdalene – Mary of Magdala. There’s no evidence for that, but there is evidence that he held the women he met in the highest regard. It would be wrong to cast Jesus as some kind of early feminist. His was a very male culture and his story reflects that. But all scholars agree: women had an unusually high profile in Jesus’ life and work. 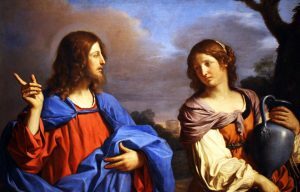 JOHN G. STACKHOUSE JR: Jesus’ treatment of women is really interesting because he treats women in a way that scandalises even his own disciples. He speaks to them. He takes them seriously. Women show up in the story as being really powerfully loyal disciples, brave disciples, when the men are all heading for the hills around the time of his crucifixion. So, Jesus is an intriguing case, as he’s presented to us in the New Testament as both being very much for women, and undermining sexism, without actually confronting it. JOHN DICKSON: Despite the failures of the church through history to realise the equality of the sexes, it can’t be doubted that women originally found something compelling and even liberating about the movement Jesus founded. RODNEY STARK: In some ways, it’s surprising that every woman in the Roman Empire didn’t become a Christian overnight, because the advantages were so great. Roman girls typically got married at 12 or 13 to men who were in their 30s and 40s. Christian girls tended to get married at 18, and to have some say in who they married, and to not easily be divorced, with the expectation that their husbands would be faithful. It was a brutal world and Christianity provided a very secure haven of humanity for people, and it’s not really surprising that that was attractive. JUSTINE TOH: But there’s another story. Through its history the church frequently failed to live up to these convictions. SARAH COAKLEY: In its inception Christianity set before women a true possibility of complete transformation on equal terms alongside men. But at the same time it very quickly accommodated itself into existing religious and cultural mores. And you could say that that tension has been played out since then. JUSTINE TOH: This book was first published in 1487, and the author gathers together a bunch of “wisdom” on women from previous centuries. On Eve, who in the biblical story was created from one of Adam’s ribs, he writes: “Since through this defect woman is an imperfect animal, she always deceives”. Don’t take my word for it! JUDITH LIEU: Christianity doesn’t necessarily have a good story to tell over the centuries in its treatment of women as in other things. And we do get emerging within some early Christian rhetoric the idea that women represent danger and they represent instability, therefore one needs to control women because it’s a way of controlling their sexuality and keeping men safe. JUSTINE TOH: This book is called “The Hammer of She-Witches”, and it was a bestseller for about 200 years. It became a kind of instruction manual for one of the most notorious episodes of the church’s treatment of women: the early modern witch hunts. Heinrich Kramer, the author of this scholarly, and not at all fear-mongering volume, was a German inquisitor. Not all accused witches were women, but he was convinced that they were by far the more likely culprits. He writes: “Since they are feebler both in body and mind, it is not surprising that they should come more under the spell of witchcraft”. CHRISTINE CALDWELL AMES: In witchcraft documents, inquisitors who are talking about witchcraft, say in the late 15th century, we have a great fear of women’s power through witchcraft, and there’s a very long process in the medieval church, in the mentality of the medieval church, whereby heresy and witchcraft come to be associated. And we do have, it’s fair to say, a great deal of anxiety from late medieval inquisitors about this power which is something that they associate with women particularly. CATHERINE BREKUS: People often ask me whether Christianity should be understood as oppressive for women or as liberating for women. The answer is always both because Christianity is multiple. I think we have to speak about Christianities in the plural rather than Christianity in the singular. Having said that, it is clear to me that Christianity has been a major force for women’s activism, Christianity has been the way that women have voiced their opposition to oppression, and that Christian women have argued again and again that God wants men and women to be equal. And they make that claim on the grounds of the highest authority possible for them, and that’s the authority of God. Place a mark on this line for where you think Christianity falls on the scale between oppressive and liberating for women. Do any of these statistics surprise you? Is there one that particularly stands out to you? Why do you think these inequalities exist? How do you feel about these statistics? How did Jesus respond to the women he met? Compare and contrast some of the ways life was different for Christian women and non-Christian women during the Roman Empire. Describe the attitude towards women presented in the 1487 bestseller Malleus Maleficarum (“The Hammer of She-Witches”) mentioned in the video. Suggest reasons why there might be such a disconnect between Jesus’ relationship with women and some of the later actions of the church. Describe this woman’s experience of life before she met Jesus. What is Jesus’ response to the woman? How does this compare to how society treated her? According to v.26, how does a person become a “child of God”? Think about society at the time. How might they have responded to the above statements? Write two diary entries from the perspective of the woman Jesus healed from bleeding – one before she met Jesus and one after. Try to capture the events that took place and the emotion surrounding the events. Write a short comment on Malleus Maleficarum from the sort of perspective Jesus might have. How should followers of Jesus today feel about past abuses of women by the church? Is it justifiable for people to say they don’t want to be a Christian because of the church’s mistreatment of women in the past? Investigate one of the women from the New Testament who helped Jesus’ mission, e.g. Mary (mother of Jesus), Mary Magdalene, Lydia, or Priscilla. What was her role in the mission of Jesus? How does this add to your understanding of women and Christianity? Watch the Centre for Public Christianity’s 2017 Richard Johnson Lecture delivered by Amy Orr-Ewing on the topic “Is Christianity Bad News for Women?“ After watching, choose an emoji to describe your reaction to the video, and post a “comment” describing your reaction to the video and any questions you have after watching it.